Large Digital Digits 1.18inch(30mm) tall. Stop watch, time, month, day, date, and alarm. 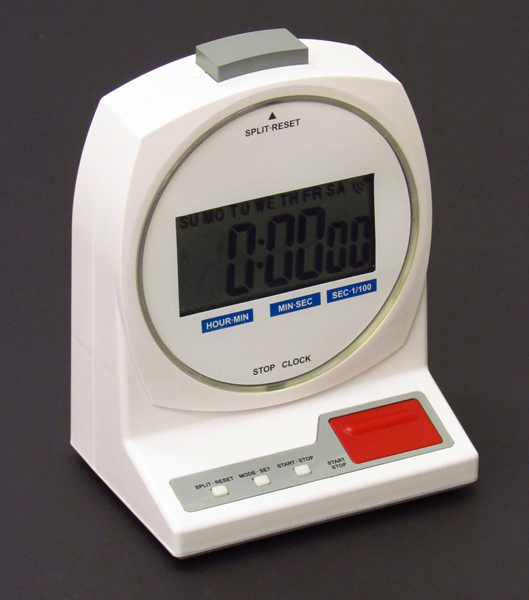 Stopwatch can be stopped and started at anytime.Operates on one 'AA' battery, not included. Can be easily seen from 25feet(8.5m) away.